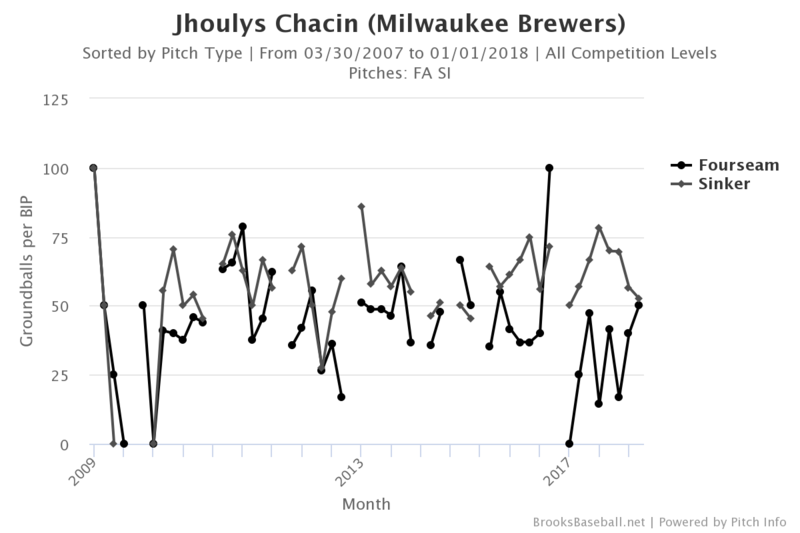 Did The Brewers Find a Jhoul In The Rough? December of 2017 was not a fun month to be a fan of the Milwaukee Brewers, on the surface. Shohei Ohtani considered Milwaukee for approxiomately 1.25 seconds before deciding against the Midwest. The Cardinals got significantly better, adding Marcell Ozuna to their outfield for next to nothing (although watching them stumble over their own feet in the Giancarlo Stanton sweepstakes was enjoyable, to say the least). The Cubs made no significant moves, but were linked to Ohtani and Manny Machado, and so it almost felt like they did something of consequence too. Meanwhile, the Brewers signed… two old, inconsistent pitchers. While a Yovani Gallardo reprise is neither big nor exciting, it does serve as a cheap, effective way to shore up the back of the rotation and replace Matt Garza, as Nicholas Zettel argued at BPMilwaukee. 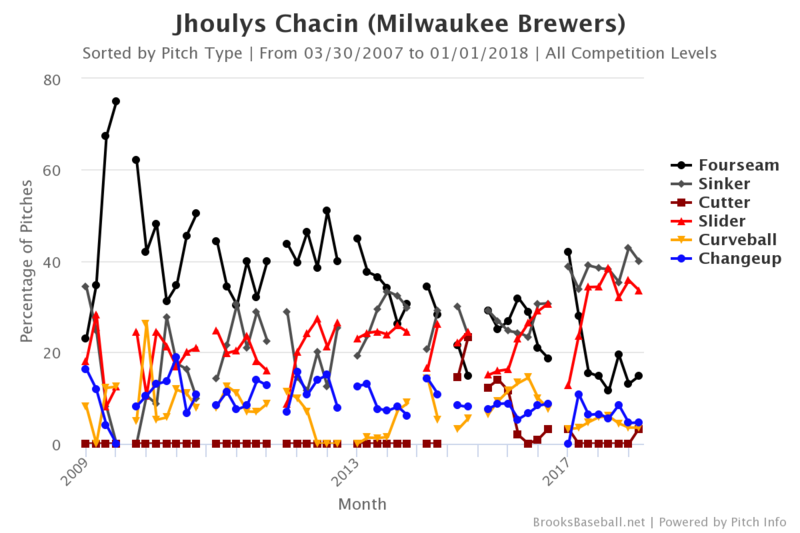 But the Brewers’ other addition, Jhoulys Chacin, has a bit more wild card in him, and at the price of $7.5 million for two years could turn out to be a bargain signing. It’s easy to look at Chacin’s spotty career to date, or his home/away splits in 2016, and prematurely call this signing a bust. After all, Chacin was only good at home in 2016, and he’s making just about the most extreme pitcher’s-park-to-hitter’s-park transitions that a pitcher possibly can. But this is a lazy, surface reaction. 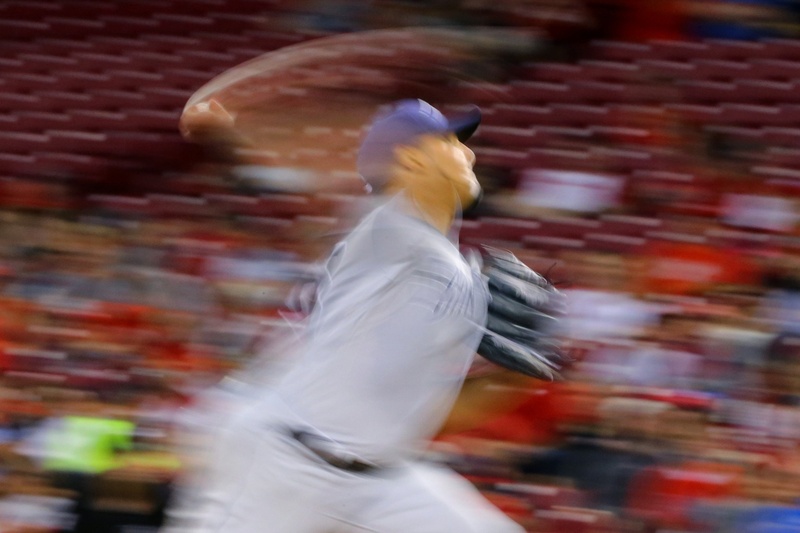 Chacin is an eight-year veteran, and he has posted better numbers at home throughout his entire career, including the five years he called Coors Field, aka The Ninth Circle of Pitcher Hell, home. How can you explain that? Sometimes, home/away splits reveal a great sabermetric truth. Sometimes, a dude just likes pitching in front of his home crowd better. Meanwhile, another thing Chacin has been for his entire career is a groundball pitcher. 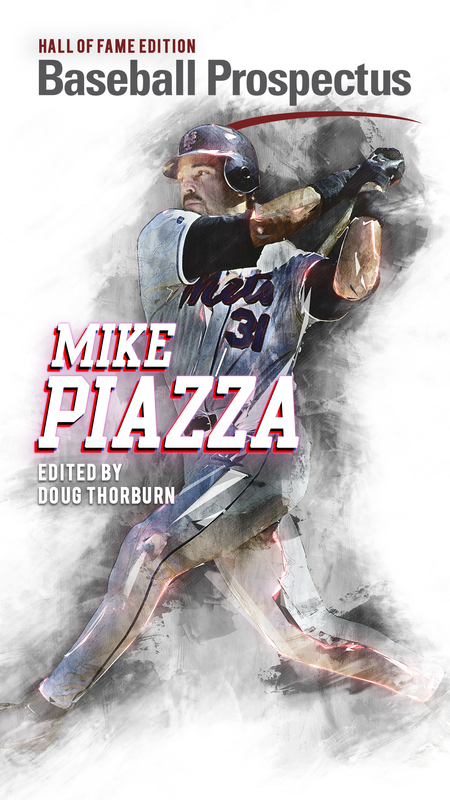 His single-season ground-ball rates range from 40 percent to 51 percent, and he’s at exactly 50 percent for his career. Both times that he failed to pitch to replacement level he did so with a groundball percentage of less than 45 percent. If he avoids that he’s good, though. He’s exactly the type of pitcher who can survive in a homer-drunk home park like Coors or Miller, and his evolution as a pitcher in 2016 and 2017 further supports this. Is it any wonder that when Chacin started throwing more of that, he turned from back-end flotsam to a useful rotation piece? 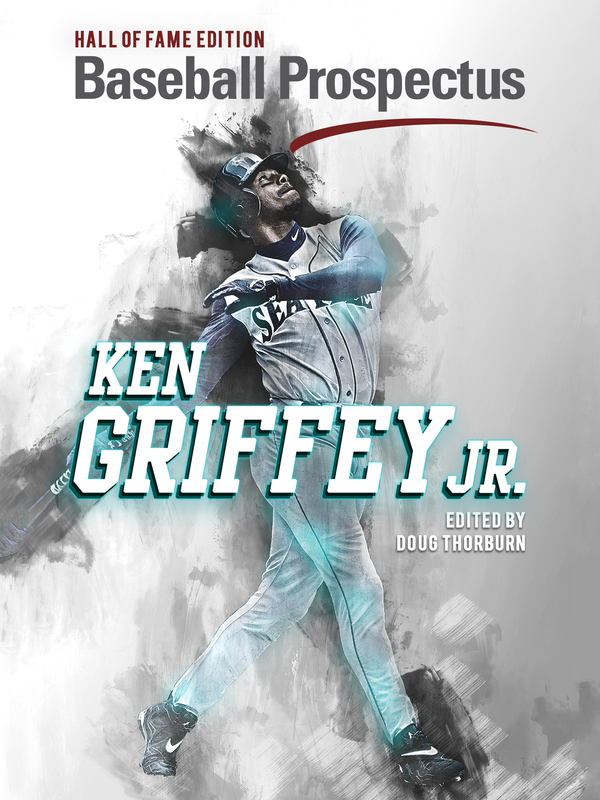 He’s hardly the first star-crossed pitcher to finally put it together after his thirtieth birthday, and a look under the hood tells us that there was very little luck involved in that. He’s a homebody, but the sabermetrically-inclined Brewers can turn that into an advantage, too, manipulating their rotation and using the depth available to pitch Chacin at Miller Park as often as possible. If Coors Field wasn’t a problem for him, Miller Park won’t be a problem. Journeyman starters north of thirty aren’t the sexiest signings a team can make, but finding useful pieces on the cheap is what this offseason is all about. Throwing his most effective pitches most often, and pitching at home as often as the team can swing it, Chacin will be in the best position to succeed that he has ever been in. He might not inspire the immediate oohs or aahs that signing someone like Jake Arrieta would, but if the Brewers use him properly he could be a big part of a 2018 playoff run. I called them "Manny and the Jett" before it was cool.